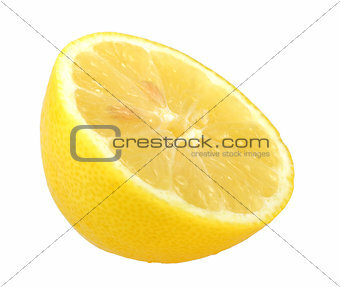 Image Description: One slice of fresh yellow lemon. Isolated on white background. Close-up. Studio photography.